Awards and Media Archives - Page 3 of 3 - TFO Phoenix, Inc.
As the largest and most widely published wealth manager award program in North America, the Five Star Wealth Managers Award program evaluates against 10 eligibility and evaluation criteria to determine the candidates in more than 40 major markets. 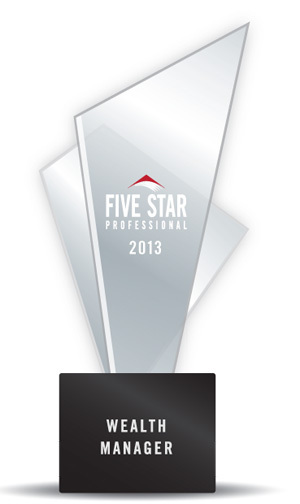 Scott Horn, President of TFO Phoenix, was recently selected to receive the Five Star Wealth Managers Award. No more than 7 percent of wealth managers receive the award each year. Congratulations Scott on this recognition! 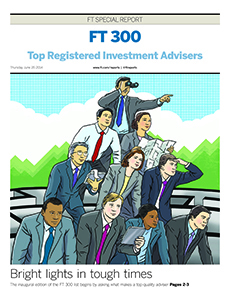 TFO Phoenix is honored to be named to the inaugural 2014 Financial Times 300 Top Registered Investment Advisers List. TFO Phoenix was one of only four Arizona-based firms included on the list. The Financial Times solicited applications from more than 2,000 independent RIA firms who had $300 million or more in assets under management. 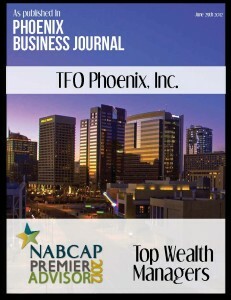 To view the 2014 inaugural edition featuring TFO Phoenix on page 9, click on the image to the right or follow this link http://www.ft.com/reports/registered-investment-advisers where you can download the PDF report located at the top of the page. The 2014 Financial Times Top 300 Registered Investment Advisors is an independent listing produced by the Financial Times (June, 2014). The FT 300 is based on data gathered from RIA firms, regulatory disclosures, and the FT’s research. As identified by the FT, the listing reflected each practice’s performance in six primary areas, including assets under management, asset growth, compliance record, years in existence, credentials and accessibility. Neither the RIA firms nor their employees pay a fee to The Financial Times in exchange for inclusion in the FT 300. TFO Phoenix, Inc. Third Party Rankings Disclosure: 2014 Financial Times Top 300 RIAs. Third party rankings are no guarantee of future investment success. Working with a high ranked adviser does not ensure that a client will experience a higher level of performance or results. Rankings should not be considered an endorsement of the advisor by any client nor are they representative of any one client’s evaluation. TFO Phoenix, Inc. data was as of 12/31/2013. TFO Phoenix has been named to the NABCAP Premier Advisor list for 2012 by receiving the Exemplary Advisor Award for excellence in financial planning. The primary focus of NABCAP is to serve the needs of the investing public by helping identify top wealth managers through a stringent evaluation process in which 20 categories of practice management are carefully assessed. 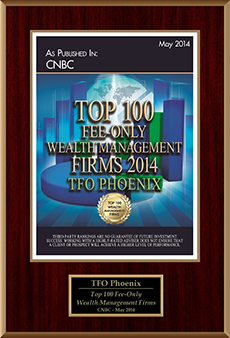 TFO Phoenix was recently recognized in a listing of CNBC’s inaugural top 100 fee-only wealth management firms. TFO Phoenix was the only Arizona-based firm listed and was one of the youngest wealth advisory practices on the list. Finally, in order to be considered for the list, each firm cannot have any complaints, actions or disclosures from the SEC, FINRA, state regulators or state insurance commissioners. For a look at the complete list on the CNBC website, click the link below. For the second consecutive year, we are proud to announce that the 2013 National Association of Board Certified Advisory Practices (NABCAP) results have TFO Phoenix as a Premier Advisor of Arizona. NABCAP’s primary focus is to provide the investing public education and resources that may benefit their financial well-being. We want to congratulate our team on their great success in achieving this honor for 2013. Please view NABCAP’s Premier Advisors of Arizona by clicking on the image below. We are proud to announce that the 2013 National Association of Board Certified Advisory Practices (NABCAP) has recognized TFO Phoenix as a National Premier Advisor. NABCAP’s comprehensive evaluation scoring system, where 20 categories of practicing management are assessed, have placed TFO Phoenix in the top 5% of practices nationwide. This evaluating process reviews a firm’s Assets Under Management as well as other areas including average client size, top five specialties and designations, average assets per client, client to advisor time spent ratio, and advisor to staff ratio. We want to congratulate our team for not only being listed as a Premier Advisor of Arizona but now being recognized as a National Premier Advisor. 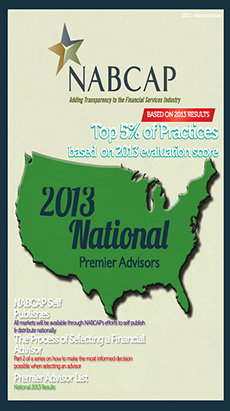 Please view NABCAP’s National Premier Advisors digital publication by clicking on the image below. TFO Phoenix, Inc. Third Party Recognition Disclosure: 2013 NABCAP National Premier Advisors Capital Reprints. Third party rankings and recognition from ratings services are no guarantee of future investment success. Working with a highly rated adviser does not ensure that a client will experience a higher level of performance or results. Ratings should not be considered an endorsement of the advisor by any client nor are they representative of any one client’s evaluation. A disclosure of the criteria used in making these rankings is explained in the materials.